The U.S.S. EnterpriseTM is summoned to transport a dangerous criminal from Starbase prison to a rehabilitation center, the brilliant physicist Dr. Georges Mordreaux, accused of promising to send people back in time, and then killing them instead. But there's more at stake than just a few lives. For Mordreaux's experiments have somehow thrown the entire universe into a deadly time warp. 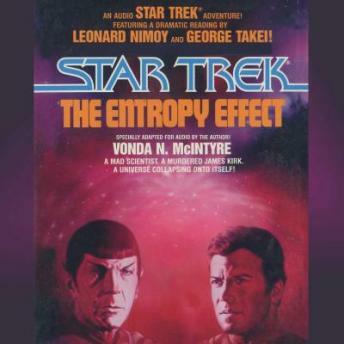 All of existence is closing in on itself, and only Spock can stop the Entropy Effect.